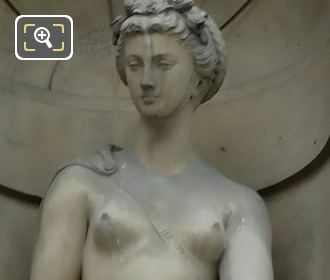 We were visiting the famous tourist attraction of the Musee du Louvre located in the 1st Arrondissement of Paris, when we took these high definition photos showing a statue called L'Abondance positioned on the Aile de Flore wing, which was by the French sculptor Pierre Bernard Prouha. So this first HD photo shows L'Abondance, which is an allegory female statue located in a niche on the second level of the Aile de Flore facade, and sculpted in 1865, you can view this from the courtyard called the Cour du Carrousel along with numerous other statues and reliefs on the same building. 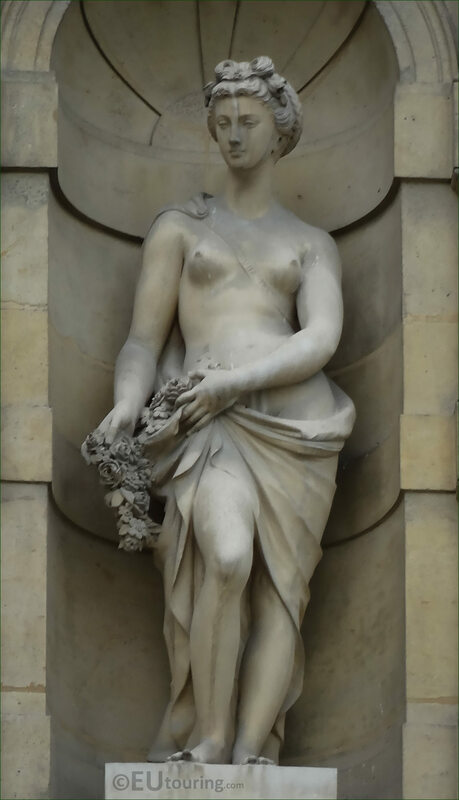 And L'Abondance, which translates in Englsih to The Abundance, represented by the fruit she is holding, was produced by Pierre Bernard Prouha who was born in 1822 and moving to Paris, he became a French sculptor, presenting at a Paris Salon for the first time in 1855. 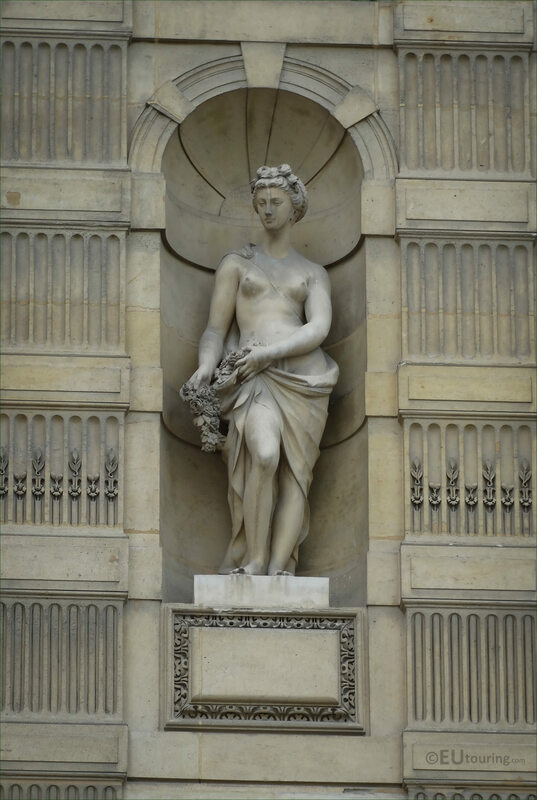 From then, he produced numerous different works from busts through to statues, and was commissioned for several allegorical statues for the former Palais du Louvre, which was when the many facades were being adorned with additional artistic decorations, in order to make the building more pleasing and even nicer for both tourists and locals to admire.